i am so super excited to be taking part in my first ever swap! 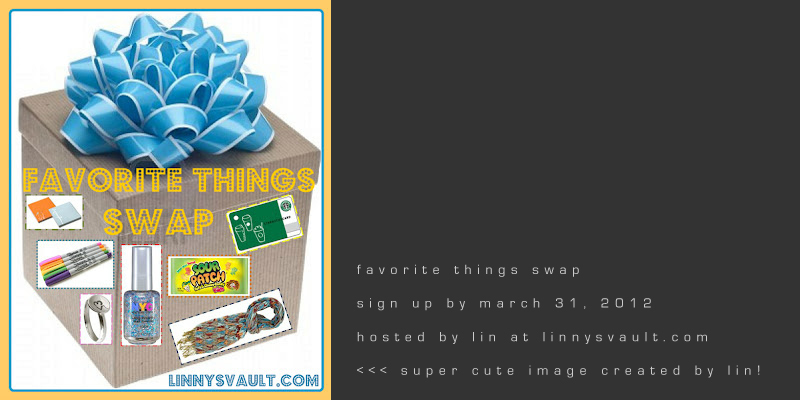 found through leesh and hosted by lin, this will be a favorite things themed swap with a spending limit of $15. i can't wait to find out who my swap buddy is and to start shopping for my favorite things! That's cool that you signed up. Have you joined other swaps before? no... this is my first!